Could Scotland hold a second independence referendum without Westminster's permission? Could Scotland hold a second referendum without Westminster’s permission? Nicola Sturgeon has asked Westminster for permission to hold a second independence referendum, but the Prime Minister thinks now is “not the time” for a new vote as the UK hurtles towards Brexit. While the First Minister has the support of the Scottish Parliament for the request, what are her government’s options within the law if the UK Government refuses to agree to #indyref2? On 4 March, the First Minister hinted that she may test the UK Government’s resolve on denying the request. She said in her letter to Theresa May that the motion passed by the Scottish Parliament “must be respected and progressed”, and that the question was not “if, but how”. Although Sturgeon told the BBC that there was no need or intention for the matter to be decided by the courts, she maintained that it was “absolutely essential” the Scottish Parliament’s will for a referendum was respected. David Mundell, Conservative MP and Secretary of State for Scotland, has questioned whether a referendum in Sturgeon’s proposed timescale – between autumn 2018 and spring 2019 – would be “legal, fair and decisive”. 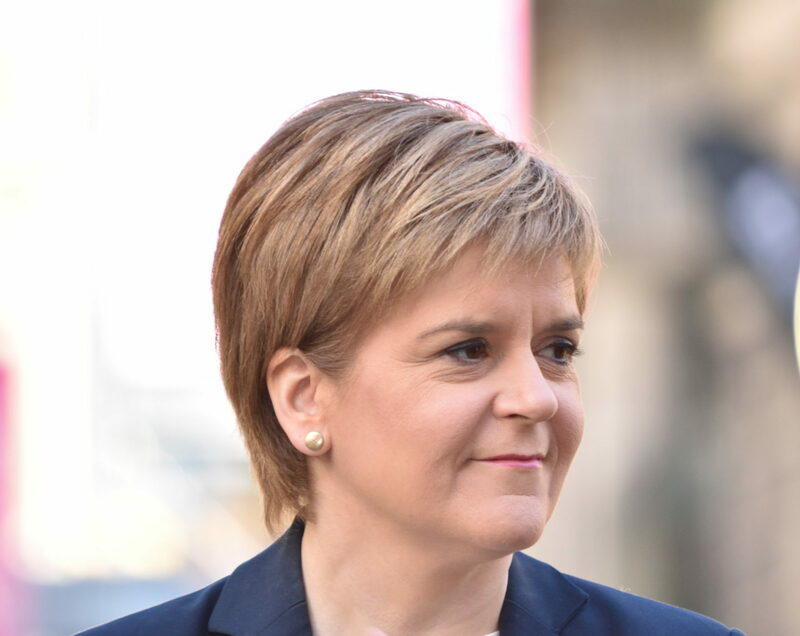 Currently, Sturgeon is taking the official route to a referendum through a section 30 order. Constitutional matters – which include the union of Scotland and England – are ‘reserved’, meaning that the Scottish Parliament does not have the power to make laws relating to these areas. But section 30 of the Scotland Act 1998 allows the UK government to temporarily transfer power to the Scottish Parliament to legislate for a referendum. Crucially, a section 30 order can only be introduced to the Westminster Parliament by the UK government. As it is not legally obliged to agree to this, it’s possible that May could refuse. Once the order is introduced, both houses of parliament must approve it. In theory, either house could refuse to approve the legislation, meaning that a referendum bill could stall at this stage. Although this is rare, it is possible – in 2015, the House of Lords refused to approve proposed tax credits cuts, and the motion was abandoned. A section 30 order allows powers usually reserved to the Westminster government to be transferred to Holyrood. It is in the Scotland Act 1998, which set out what would be devolved to the new Scottish Parliament. Nicola Sturgeon is has written to Theresa May to request that the authority for a referendum vote be temporarily passed to the Scottish Parliament, allowing a second vote to be held. The request must be passed through both houses at Westminster before power is handed to the Scottish Government. This was used in 2012 to allow Scotland’s last independence referendum, which took place two years later. Even if the section 30 order were approved and a referendum went ahead, it would be an advisory rather than legally binding referendum, meaning that a change in the legal status of Scotland would still depend on further negotiation with the UK and legislation in both parliaments. This is the case with most UK referendums, except for the 2011 alternative vote referendum which explicitly required the government to change the law based on the result. In 2012, Alex Salmond and David Cameron also negotiated the terms of a section 30 order in the Edinburgh Agreement, which was then debated and approved by the UK parliament. At the time, similar questions were raised about alternatives to a section 30 order. If May does refuse to enter into discussion with Sturgeon, there are several options open to the Scottish Government which would theoretically be legal. The claim to legality depends largely on how the Scottish Parliament’s legislative competence in “reserved matters” is interpreted. Although this is often unambiguous, differences of interpretation can only be determined by the courts. According to one legal expert, an option would be to introduce a referendum bill into the Scottish Parliament regardless. However, the current Presiding Officer, Ken Macintosh, could decide the bill falls outside the legislative powers of Holyrood. If a referendum bill were debated and passed, it would then be open to legal challenge by any citizen based in Scotland or organisation directly affected by Scots law. For example, in 2016 the UK Supreme Court, which has the power to overrule the Scottish Government, blocked the “named person” scheme until it had been amended. If the bill went unchallenged in Scotland, the UK government could then refuse to send it for royal assent and instead ask the Supreme Court to rule on its legality. There’s also the improbable option that the Scottish Government could hold an “extra-legal” referendum, meaning it would be without the authorisation of either the UK or Scottish parliaments. Attempts by Catalonian nationalists to engineer its independence from Spain are often used as a potential parallel for such a move. The autonomous community held an unofficial referendum in 2014 which was found to be unconstitutional. But while the UK government previously agreed to a referendum, the Spanish government has consistently opposed Catalonia’s calls for independence and the Spanish constitution states that regions cannot unilaterally hold referendums. So, in Scotland’s case an extra-legal referendum looks extremely unlikely. There is no precedent for that type of vote on a national level in the UK, so it would be extremely complex legally and there appears to be little appetite for an extra-legal vote among the SNP leadership. The Scottish Government could opt to push a referendum bill through parliament even if Theresa May refuses to introduce a section 30 order. But while it is theoretically possible that a vote could go ahead without Westminster’s permission, it would likely run into significant legal challenges and there is no way of knowing whether the result would be respected. Ferret Fact Service (FFS) is a non-partisan fact checker, working to the International Fact-Checking Network fact-checkers’ code of principles. All the sources used in our checks are publicly available and the FFS fact-checking methodology can be viewed here. Any questions or want to get involved? Email us at factcheck@theferret.scot or join our community forum. Photos thanks to Kenneth Halley, CC BY-SA 4.0, and Colin, CC BY-SA 3.0, via Wikimedia Commons.